In 2018, Lemonaid & ChariTea Foundation established another partnership in India. In Darjeeling, a group of women are given the opportunity to improve their agricultural production and to market their products online. This approach enables them to diversify their work, and strengthen their income in order to secure their livelihood. The organisation SOCEO, and the other partner organisations involved, offer a cooperative of 300 women farmers practical knowledge and the essential technology. In this way, the women not only create a livelihood for themselves and others. They contribute to the region with sustainable farming methods. The name SOCEO is composed of the words “Society, Equity, Opportunity”. In this context, it is a certain approach that makes the company so special: the development and use of the Sustainable Livelihood Development Program (SLDP). In countries such as Kenya, Ethiopia and in this case India itself, SOCEO India implements and supports the respective projects. They assist other NGOs, in particular as consultants, and conduct research on sustainable development cooperation through proper monitoring and evaluation. The SLDP is a programme that is conducted jointly with underprivileged societies or groups. Through entrepreneurship and the strengthening of socio-economic shortcomings, the programme systematically seeks to overcome the problem of poverty. For SOCEO, classical development cooperation still aims too strongly at offering impoverished groups of a population cheaper and simpler alternatives. 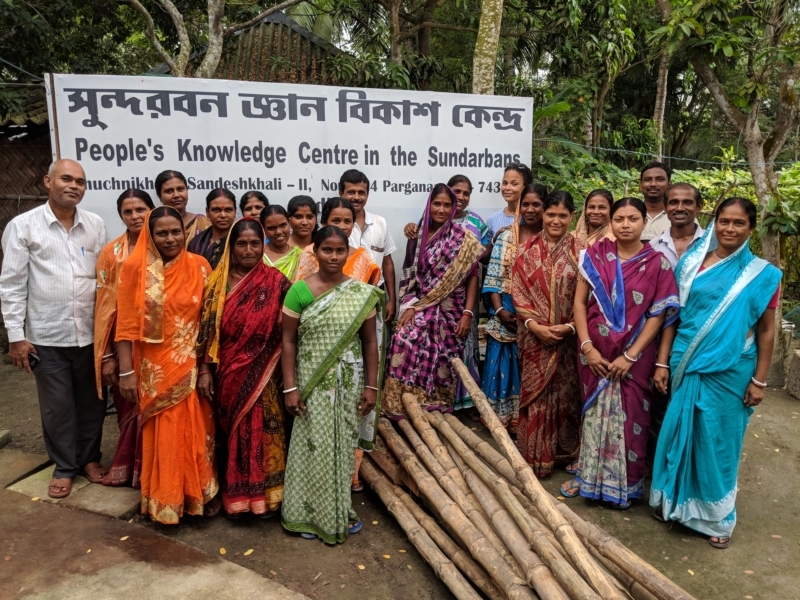 Instead, using SLDP, they aim to identify social and technical resources on an individual and community level, placed in the social context of the region. With the goal to empower people to generate income through sustainable professions and further education. This is exactly what the project in Darjeeling is aiming for. And it is not just tea that is grown there, as the name might suggest. Darjeeling is a region in the tip of India’s northeast. It borders on four different countries: China, Bangladesh, Bhutan and Nepal. Social norms, here, are similar to those in the rest of the country. For example, the position of the woman in society is that of the housewife. She is responsible for the family and household, as well as the domestic agriculture. Usually, women and families do not have the opportunity to further process their crops and thus increase the value of their produce. In addition, the yields are often too small to earn a sufficient salary. So the sale of domestically grown produce is not really profitable. The women from the region already independently take action. They come together in collectives, to help each other to grow more efficiently and sell their produce bundled on local markets. So they are taking the first step towards sustainable entrepreneurship. Unfortunately, that is not always enough. The problem of the lack of further processing and refinement of goods still exists. 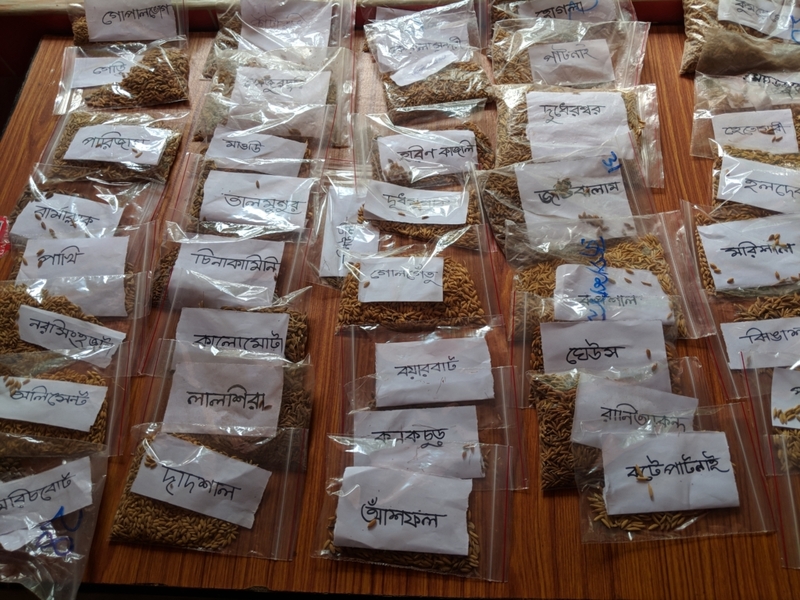 Due to inadequate logistics and limited access to other market channels, they also sell to producers who buy the raw materials from them cheaply in order to resell them at disproportionately higher prices after further processing. In order to be able to operate sustainably and establish a livelihood for themselves, women would have to take the processing of agricultural products into their own hands. In a nutshell: they need premises, machinery and know-how. The women in the region have shown their willingness to embrace change. When they reach their limits, they are connecting with other organisations. This is also what the farmers’ cooperative Madhovita is doing, which is joining forces with SOCEO in this project. The latter not only organises capital for machines such as rice- and spice mills. They also provide the women farmers with the infrastructure they need to sell their products more broadly. SOCEO uses the online platform and App Amar Khamar for this purpose. The platform distributes regional products and gives them a face. The farmers and cooperatives behind each offer are introduced on the platform. After a two-month training course on agriculture and e-commerce, each of the 300 farmers knows how to link agriculture and entrepreneurial activities. Also they have learned how to sell the products online and in particular through Amar Khamar. Together with Madhovita, SOCEO also set up the online sales hub. This hub functions as a logistics and distribution centre. Eight women from the cooperative will be working here. To fulfil this role, they will receive additional training. They will be trained in all the necessary processes for one month and will then be able to operate the hub. The project also includes other training courses. For the machines, which should also be accessible to farmers outside the cooperative from the time of commissioning, training in maintenance, servicing and operation is needed. Another eight women from the cooperative will be trained for this purpose. SOCEO undertakes the responsibility of evaluating the entire project. Methodically, they collect data at the beginning and end. The initial aim is to determine the social and economic conditions in the daily lives of women farmers and to identify their needs. After the project has lasted one year, they finally determine how significant the effect of sustainable improvement actually is. With the support of Lemonaid & ChariTea Foundation, the cooperative covers almost the entire costs of the various training courses. The costs for construction and the establishment of the e-commerce hub, as well as the machines and the studies at the beginning and end of the project are covered. In the long run, parts of the income and proceeds generated by the project return to the cooperative. Thus, it secures the long-term existence of the newly formed business. Through entrepreneurship, adapted to the social, economic and ecological conditions, communities are strengthened socio-economically and the overcoming of poverty is promoted. While SOCEO and the Lemonaid & ChariTea Foundation are providing the initial funding, the project will secure a sustainable income for the women of the Madhovita Cooperative and thus guarantee the continued existence of the business. Also in other regions which are characterized by agriculture, measures of this kind can create sustainable livelihoods.